This scifi thriller is unusual because it combines traditional elements of the genre with a mood that sometimes veers a little closer to horror, which makes a fantastic combination. With the book just released in stores, and with the recent announcement that it’s been optioned by Imagine Entertainment for a film, we’re excited to have the author with us today chatting about the origins of her story. Josin has been a great friend to our blog, so please help us give her a warm welcome! I get that question a lot. The blurb on the back of the book is pretty open, and can be interpreted a dozen different ways. It’s an unusual mash-up of genres, but to really explain how the world works, you need to know that Arclight started off as a movie. It never went anywhere, of course, but I finished it, and I kept it. A few years later, when I was putting Arclight together, that old screenplay became its backbone. The deep dark of space became “The Dark,” an endless vacuous stretch of nothing, uninhabitable by humans. The shiny, brightly lit spaceship became the Arclight, a militaristic safe-haven surrounded by that darkness and never able to escape it. There’s a desolation to space, both for the silence and the vastness, but it also has a sort of hypnotic beauty that makes people curious about the secrets it keeps. I tried to keep that atmosphere intact, even though the Dark is a tangible place located on Earth. It’s ever-expanding, like the universe, and nebulous, so that there’s no real dimensions to it. It simply is, and it’s simply everywhere. There’s usually a scene in space movies where someone stands at a window and stares out at the stars in total awe. They exist reminded of how small they are in the grander scheme, and know that if not for that thin piece of glass, they’d be pulled into the void. It creates a claustrophobic quality where the characters can feel the pressure of something deadly pressing against their safe zone. Their world shrinks to a series of hallways and identical doors, and a repeated parade of the same faces every day. They know that no one new is ever going to arrive, just like they know they can never leave. And suddenly, their sanctuary is a prison well on its way to being an asylum. That’s the atmosphere I hope carried over into the Arclight. The people are on edge. There’s no way to escape the encroaching Dark. It can be seen from every window, inching closer every day. People start to grate on each other because of the forced proximity. They go through their safety routines, and keep the lights burning, chanting the mantras they’ve been taught about how it makes them secure, but they don’t feel secure. They feel the crush and know they’re helpless to stop it – and that’s on a good day. The world exists in a state of equilibrium until something comes along to disturb the balance. In space, it would be the scene where an air lock gets opened or someone blows a hole in the side of the ship. With the barrier between the two halves removed, air rushes into the void, attempting to reinstate that equilibrium, because that’s the way of the universe. With Arclight, that hole in their routine is caused by a girl. Marina causes a breach. She’s something from the outside, introduced into a closed environment. She’s gone through the Dark, into the Light, and upset them both, so that both sides are struggling to reset their balance. As a consequence, light and dark make an exchange, so that both invade the other’s territory. But Marina remains an agitator. She’s the black hole throwing off everyone’s inertia, causing them to stray from their normal paths, and so long as the agitator is in motion, the systems will continue trying to even themselves out. And like that open airlock, it’s a violent process that leaves both sides changed in some way because they’ve both taken in bits of the other. Now, that’s only one component of the abandoned story mish-mash that became Arclight, but it’s the biggest piece. It’s a space opera. Set on Earth. With no aliens or space ships. But there are shooting stars, and wishes, and the hope that there’s something out there worth finding. Josin L. McQuein was born and raised in Texas and can trace every place she’s lived in by the movies that were filmed there. 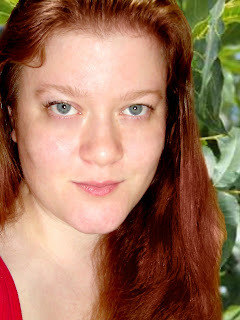 She currently lives with three crazy dogs in a town so small that the buffalo outnumber the people and things like subways and consistent internet service are creations of that far away fantasy land called “Civilization.” Connect with her online through her blog and Twitter. Arclight is available in stores and online now, through Amazon, Barnes & Noble, Indiebound, and many other retailers. You can also add it to GoodReads, along with her book Premeditated, which is out from Random House this October 2013. Are you excited about reading Arclight? We think it’s a great addition to the YA scifi genre, and it has all the makings for a terrific film. Let us know if you agree! Ann Aguirre on the Razorland "Love Triangle" + Giveaway! Oh I love this! I’m definitely intrigued to read the book now. I’m actually reading Arclight right now! I was instantly drawn into Mcquein’s world and can’t wait to read more about it. It’s really interesting that this book actually started out as a movie, I never heard of that happening to anyone before. I love that Arclight has its roots in a space opera. It’s so obvious now that it’s being pointed out, too! I think it’s awesome that she took those concepts from space and translated them into a new, scary world set on Earth. I think she did a fantastic job. I really liked Arclight! Yes, exactly! It seems so logical when she puts it in that way. And turning the usual scenarios around was pretty brilliant–it’s like when Hitchcock took all the usual murder mystery scenarios (dark, rainy nights, man waiting alone for something unknown) and turned it on its head in North by Northwest, with Cary Grant waiting alone in the blazing sun. Oh my gosh, I love this. ARCLIGHT was one of the best, most inventive books I’ve read all year. How awesome to find out what McQuein’s thought process was like! I’m glad to hear you loved it, Gilly! Reading about the origins of this story was pretty fascinating to me, too. So looking forward to the sequel! I was already convinced I wanted to read this book. Now, I’ll do anything to get my hands on it. I love the sci-fi genre. It’s so incredibly fascinating and terrifying at the same time. The fact that they can mimic our society so well can be really unsettling. This sounds most excellent! Another great book I’m looking forward to read! This year has been great, lots of good books coming through. The first thing that really catches your attention here is the cover, well it is for me. Great looking one. I agree, this has been a fantastic year so far for YA. And yes, I’m really happy that the cover is so gorgeous, so that it helps attract attention to the story within! I’m always so sad for books that are terrific that have ho-hum covers. It’s such a big part of why people pick them up. I’ve been really, really wanting to read this one so it’s great to hear that it’s been optioned AND to hear the original roots. I always love to hear how an author wrote the idea of their book. A screenplay is different and just, gah, loved this post! This is one of the best “origins” stories I’ve read, Sunny–we’re so pleased she shared it with us here. :) I hope you get a chance to read it soon! I want to read Arclight so bad! I can’t wait to get my hands on it! It’s in stores now, Kayla! Get thee to a bookstore, hah. This book sounds very interesting! I’ve added it to my Goodreads and PBS WL! I’ve added your blog and Goodreads pages to my everyday “to check” list!! I love reading exciting books that I can donate to the High School library for young adults to read. In a day and age of electronic reading, I love to be a small part of opening YA to the world of reading and feel if more teachers encouraged kids/young adults to read something that THEY are interested in vs something generic & archaic that a school board decided they needed to read, more young people would be INTO reading and reflect more on it as enjoyable rather than a CHORE. Thanks for all you do to encourage reading! I’m a Literacy Tutor for YA and adults and will be recommending your blog to several teachers I coordinate with at our local HS! Oh, thanks so much, Anne! We’re always so pleased to welcome new readers. I totally agree that for reluctant readers, finding pleasure books that they can connect with goes a long way towards turning the idea of reading from chore into an enjoyable habit. I used to work in a bookstore, and my favorite question was always, “My child doesn’t like to read. Could you recommend…. ?” I got that question a lot, especially when it comes to boys. How interesting! I love reading the journey of idea to a fully-formed story. Thank you for sharing this great post with your readers. I think this is the only time I’ve ever seen a YA book that started out as a screenplay–it’s definitely an unusual path for this story to take. I have a copy of this but haven’t yet been able to read it. I think it sounds terrific though and I love the description of a space opera! Love it! Oh, man, just the way she describes the feeling, the pressure of essentially being trapped in your existence…I felt that the entire time I was reading Arclight. To be able to convey that…it was brilliant. I loved this book and I think it would make a fantastic movie…a creepy one that I’ll hide from behind my fingers at times, but still a great one. YES. And conveying that feeling within this short amount of space is pretty impressive, imo. I’m not always wild about the idea of books being turned into movies (usually suspicious and/or indifferent, actually), but I think this project has a lot of potential. That was a really great guest post. I think it’s so cool how it came to be. I always love reading guest posts from authors about their books. I always find it interesting how the idea came about. Same here! Everyone’s story is so different, and it’s fascinating to hear that this was originally a screenplay. Wow, that post from the author was amazing. If I hadn’t already read and loved the book, it would have sold me on it. I can definitely see it as a movie, or even a sci-fi tv show because there is so much you can do with the concept, I think. Thanks for sharing! This post actually makes me want to read th book again, hah! But maybe I’ll save that for a refresher before book two comes out. Oh, TV show would be interesting as well. But I think I’ll enjoy seeing this world on a big screen and the more immersive experience that provides. LOVE this post! I especially love the wrap up sentence at the end *claps* The guest posts here on The Midnight Garden are always the best! I haven’t read this one yet but I really want to, I love how dark it sounds! Thanks for sharing ladies! Awesome way to end a piece, right? I think you’d enjoy ARCLIGHT, Jasprit. It definitely has a different vibe than other scifi books out there. I think I’m going to add this to my TBR. A combination of sci-fi and horror, sounds amazing! Thanks for the review! It’s nice to understand a little more. It’s always really intriguing to have a blurb like that, because we want to understand and know more about the story. Thank you for all the infos! I always like to read origin stories for books, too. :) This one was particularly sweet since it went from movie to book and then will be a movie, hah. What a fun guest post! 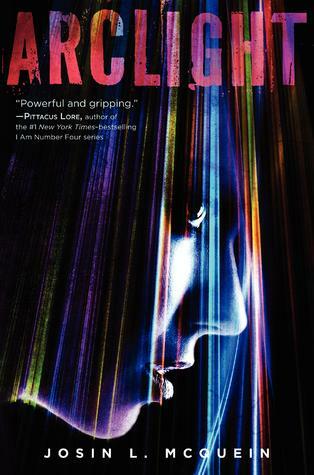 I always see the cover of Arclight and get mesmerized by it, but I never really understood what it was all about. It actually sounds really cool. I’m liking the YA scifi trend and can’t wait to check out Arclight. The blurb is rather cryptic, isn’t it? I liked that I didn’t know too much about it going in, but on the other hand knowing more facts definitely helps to persuade people to pick it up as well. Look forward to hearing what you think of this one when you have a chance to read it, Lucy! I have no idea how I don’t already have this book. The first time I heard of Josin McQuein was on Query Shark, where she submitted her query for her second novel to come out, Premeditated. It was so, so, so amazing (so much so that I’ve already preordered that one). But this — this sounds so good. I think I don’t have it because I’m a bit burned out on dystopians and that’s what I heard it was. I love how odd Josin makes the book sound in this. A space opera without space — it sounds impossible, which makes me really, really want to read it all the more. Plus, a horror element? I’m sold. An astonishing number of people have mentioned (elsewhere as well) that they saw JM’s Query Shark posting for her other novel–it must have been something if so many readers remember that after all this time! And yay, as evil as it is, I’m glad to hear we are convincing people to buy books. This is such a great time for YA, and there are so many authors well worth supporting. You have to see the shiny cover in person–it is blindingly gorgeous. Poster-worthy, imo. :) I hope you get your hands on it soon! Thanks for the feature Wendy! This was interesting. I’m really excited for this book and the 5th wave since a good handful of my favorite reviewers have said good things about it. After my thick sci-fi-romancey novel, I really want to read something with action. Both books are standouts among the many, many YA scifi books out this season. And if you’re looking for action, both of them definitely deliver on that! This one has a more contemplative tone when there’s not an action scene, though. Haha, I coincidentally won a giveaway copy of Arclight just that day, and today I put in an order of the 5th Wave. I’ve already read this and it wasn’t my favorite but I have to admit McQuein is an impressive author. The Fade are seriously creative and sooo creepy. And what with the recent wave of more scifi YA books, I hope this is an author that sticks around to contribute more! Great post! I have been hearing good things about Arclight and it’s been soooo very long since I’ve read a good YA sci-fi. I’ll have to check this one out! There’s a ton of young adult scifi releasing this spring, but this is among the best, in my opinion. :) Put this one and The 5th Wave on your list for sure! Hah hah, we will not shoot you into outer space, walrus. But I hope you get to read the book soon, it’s a pretty spin on the genre. I’m really psyched for Arclight! I’ve read several good reviews of it, and I love getting to see Josin’s thoughts on it. :) The last paragraph of her post, especially, makes me want to read it! I think you’d enjoy this, Molli. :) It’s such an interesting book, and the mood/tone is very different from other YA scifi books. I am very excited to read this book. I have been waiting for it, ever since I saw it pop up in Netgalley. I hope I can get my hands on it soon! Hurry up and read it, Lyn! Sheesh. As you know, I wasn’t a huge fan of this one, but I did really enjoy this post and getting to know more about the beginnings of Arclight. I definitely have to check out this author’s other novel coming out this year. I always think origins stories are fascinating, especially since they’re all so different. I’m glad you liked the author’s writing style enough to check out her other novel–I’m really looking forward to that one, too! I had no idea that this book started off as a screenplay! That’s really interesting to hear, though I’m glad Arclight is a novel now. I get to read it that way. ;) I love the concepts here and look forward to giving it a shot. Thanks so much for sharing, Wendy and Josin! I’m glad the story ended up being a novel first, too, so we can have more fully fleshed out characters and plots. And this way, we get the best of both worlds with the movie in addition to the book! I love her guest post, too–both Tonya and I really liked the book, but if hadn’t already read it found this post elsewhere, I think we would have been convinced, too! Okay, this one really does sound good. It sounds incredibly original and that cover is absolutely gorgeous. Great post! Oh man, that cover is so shiny-gorgeous in person, Bonnie. I really hope you get your hands on this one soon. I can totally see this as a movie and I think it would make the transition perfectly. That’s what I thought as I was reading it. And I bet it’d scare the pants off me! Loved this guest post, Josin! Agreed, her post makes so much sense to me (that this started out as a screenplay) because I kept putting myself in Marina’s shoes. I hope the film does the book justice–there’s a good team behind it, though, so that’s a good sign! Nice post! I totally adored this book! I’m glad to hear you enjoyed it too, Savy! I can *definitely* see this story as a movie! The darkness, the gray, the “monsters” out in that impenetrable area all worked so well together, building the tension exponentially. Highly enjoyable story!! Yeah, that sensation of crouching in the dark listening for unknown monsters was so vividly depicted, I totally want to see that on screen. I can’t wait to see this as a movie!